Well today it started out with me thinking I would clean my wheels and then get on with housework.. This great plan soon got forgotten as I washed the whole car and pampered it with cloths soft and gentle! I compounded this flaw in my character by then taking the car out for a drive with no direction in mind. I ended up in town and tried a couple of photographs by candle light. It is very difficult to get a decent result with a crappy small digital camera as the flash bounces off everything! Well it kind of works! 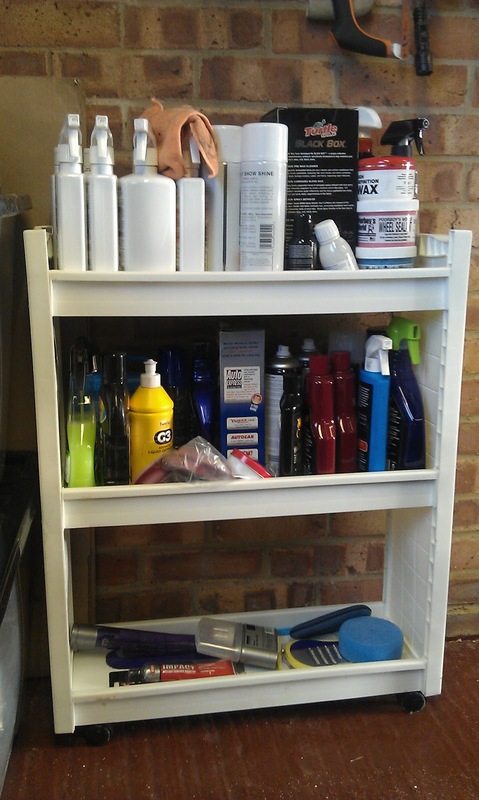 Now it is much better used and I keep my few meagre cleaning products on it. Not as much as most people think! As you can see I like a bit of Auto Gylm for polishing and waxing. Although like most people I use combinations and won't even begin to bore you with details. Having a black car I naturally have further travel to get what I call a decent shine. Again, car cleaning is personal, it's what works for you. Hehe, so you got distracted...who can blame you? Pics are great, it's always a bit tricky in the dark and your car is VERY shiny - but I like the result!